Snakes are probably not the first organisms on your mind when mentioning common Ohio pests. They don’t look particularly mobile, and don’t seem to mesh very well in urban environments. Believe it or not, though, snakes are fantastic at climbing because of their impeccable control over each section of their long bodies. They are essentially one big muscle, capable of traversing great distances to gain access to your home. If you notice snakes in your home or attic, please don’t panic. Call Buckeye Wildlife Solutions and allow us to take care of the issue for you. Our expert staff has years of experience handling snakes in Columbus, OH and the surrounding areas. Call 844-544-9453 today for more information! Designing & Placing Traps If Necessary. Removal Of All Snakes From Property. 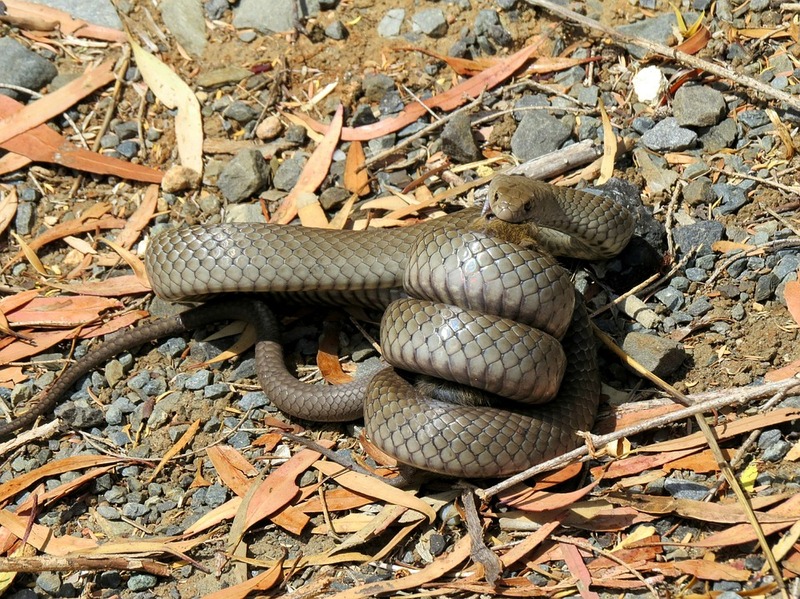 Snakes are long, carnivorous reptiles which feed on animals up to three times their size! This is made possible by their incredibly mobile jaws, which can even be dislocated in order to allow food to pass through. Snakes can range in size from a few inches all the way to 23 feet long. They make up for their lack of limbs with their superior control over their bodies. Their length allows them to slither upwards into trees and buildings. 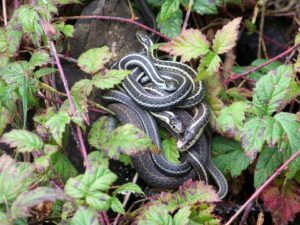 This causes problems for Columbus homeowners who wouldn’t otherwise expect a family of snakes to reside in their living area. The US has over 120 species of snakes, 17 of which are venomous. 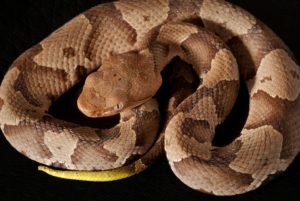 Ohio has 25 species of snakes; three kinds (Northern Copperhead, Timber Rattlesnake, & Eastern Massasauga) are venomous. 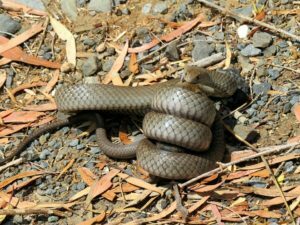 Although you shouldn’t worry extensively over the thought of being bitten by a venomous snake, you should still take every defensive measure you can. Snakes are not to be fooled around with, and can still cause injury even if they aren’t venomous. If allowed to use your property as a breeding ground, snakes will reproduce and continue to cause problems. Buckeye Wildlife Solutions specializes in humane snake removal. 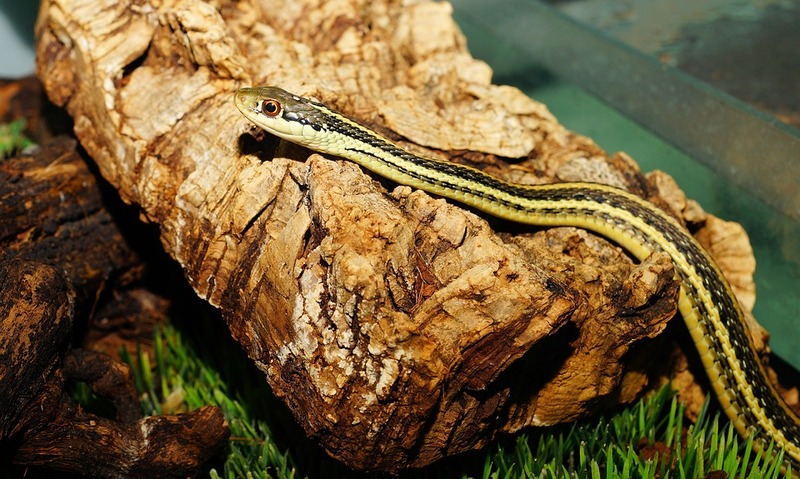 Our ecosystem needs snakes to keep frog, insect, and other snake populations in balance. If you are in need of a snake removal service, call 844-544-9453 today! Why Are There Snakes On My Property?